A container consists of a complete run time environment: an application that is bundled with its entire set of dependencies, libraries, and configuration files. Thus, by “containerizing” the application, differences in operating systems, connectivity types, and underlying infrastructure are all abstracted away, creating a single package ready for deployment across environments. With the use of containers, there is no longer a barrier to moving applications from development to production, cloud to on-premises, or from a physical machine to a virtual machine, as all the necessary components of an application are contained in one wrapper. Containers ensure that applications deploy quickly, reliably, and consistently across deployment environments, and enable independence between applications and infrastructure. This way, software developers and IT operations can come to work in unison, unleashing the potential for enhanced collaboration, speed, and innovation. Development teams are writing their software to go to containers because it makes everything so much easier for them. 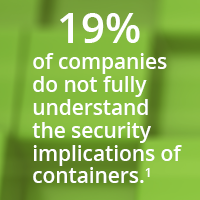 We are starting to see IT working to operationalize containers from their end. Many teams are working to begin consolidating older applications. They are using containers for all of this. When properly managed, containers can increase the speed and ease of application deployment, making it easier to port application stacks across different types of environments. 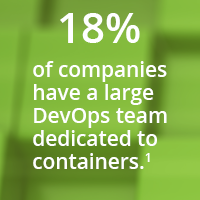 The benefits of working with containers are many, and by transitioning to their use, IT can see value like increased continuous delivery, reduced operational costs, and consistency in code and application deployment. It is also important to consider that moving legacy applications into a cloud environment is not easy. By using containers, a higher level of transportability is possible. Are There Challenges with Containers? 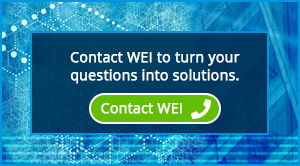 Each new technology introduced to the market has its benefits and challenges. One of the primary concerns organizations have regard the visibility with containers due to the nature of what they are. The following video, "Containers: 4 Tips for Overcoming Visibility Challenges" details ways to accommodate and surpass the top visibility concerns organizations face with containers. Many believe that containers are less secure than virtual machines because if there is a vulnerability in a container host it could potentially corrupt or expose all containers that reside on that host. And while this is true to some extent, the adoption of “signed” container images mitigate this concern by ensuring that all content is explicitly approved by administrators before being deployed. Even with verified images, strong access layer protection is a must. If there are any hesitations about security, they should be addressed long before the adoption of any new technology. Risk can be alleviated by practicing good cybersecurity hygiene, implementing application security tools and processes, tightening vulnerable entry points, and increasing transparency of the software development. Finally, advanced security efforts related to containers are continuously being made as the use of container technology evolves. How to Prepare for Containers? While it is true that most tech-forward businesses are willing to go to great lengths to operate as quickly and as cost-effectively as possible, there are some considerations to make when moving to a containerized environment. 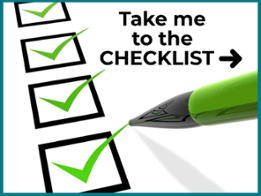 We have compiled a comprehensive 10 step checklist to aid in the decision-making process and to help you to prepare for the shift to a containerized environment. Give us a call and talk to our sophisticated teams about your organization's business and IT goals. After we get an idea of who you are as a company and what the current state of your data center and networking strategy is, we can discuss how and why adopting a container strategy is useful. We will help you get started slowly, as to increase efficiency and not create internal problems. Contact us by filling out the form on the right or pushing the button below. 1.) IDG Research commissioned by WEI. November 28, 2017.